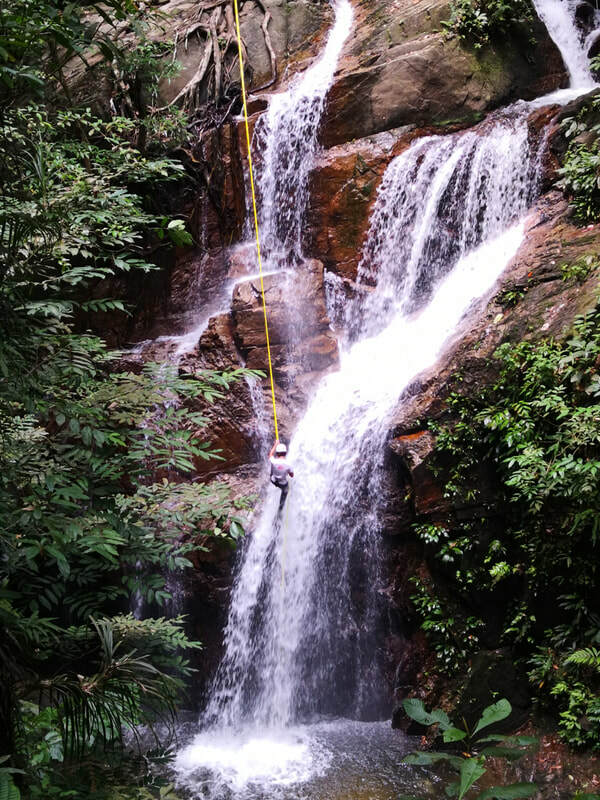 this is not just a leisure visit to waterfall, its jungle trekking + waterfall + adrenaline rush abseiling. 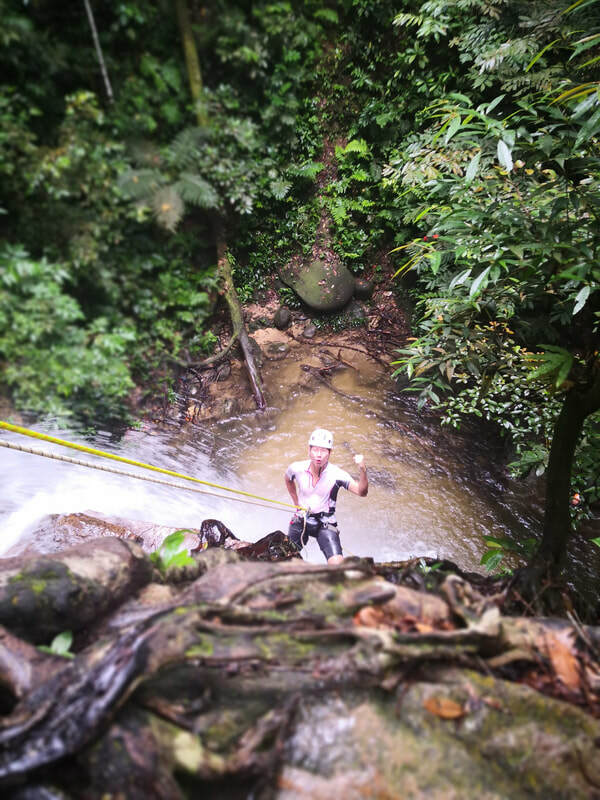 it starts with the easy short trek in the natures forest along the river up to the top of waterfall and use rope and safety equipment to descend 15m vertical cliff like commando to the bottom pool. this professional rope descending technique called abseiling/rappeling used by mountaineer,rock climbers,cavers,canyoneer, commando and even firefighter. 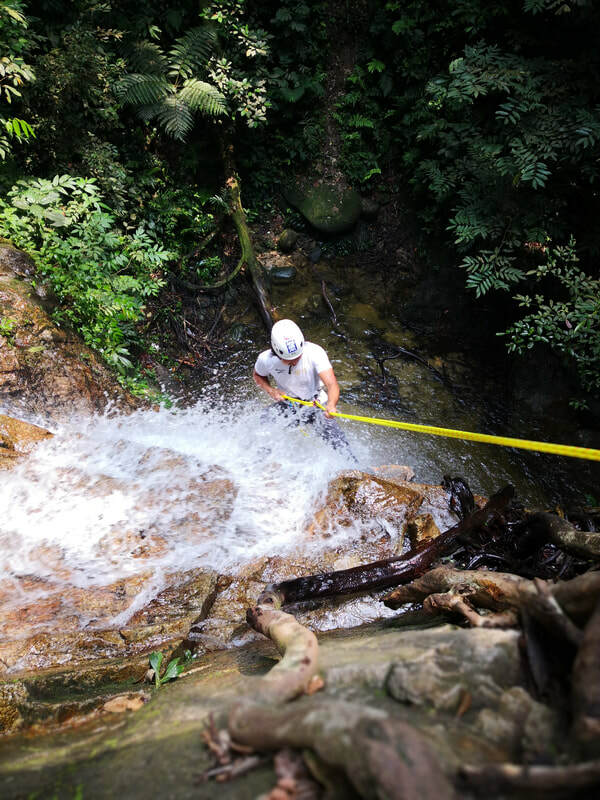 prepared yourself to get wets at the beginning until the end, experienced the true adventures of rope descend with chilling water splashing on you and finally landing on crystal clear pool of water. you can repeat as many as you want within the duration or just chill in the water. we would have our lunch by the waterfall with cup of hot coffee! what else you ask for?!! this would be fully guided by our professional guides with safety briefing and provides top quality of safety equipment. 08:30 - Start trekking and ready to cross some rivers at beginning and all along to waterfall. treks approximately 30-45mins to reached at waterfall, activity start after the safety ropes setup and briefing. Easy flat treks, overall healthy, age 8 and above. natures lover, open to meet new friends and dare to challenge! Email us for the rates, private or group rates are available. 1. 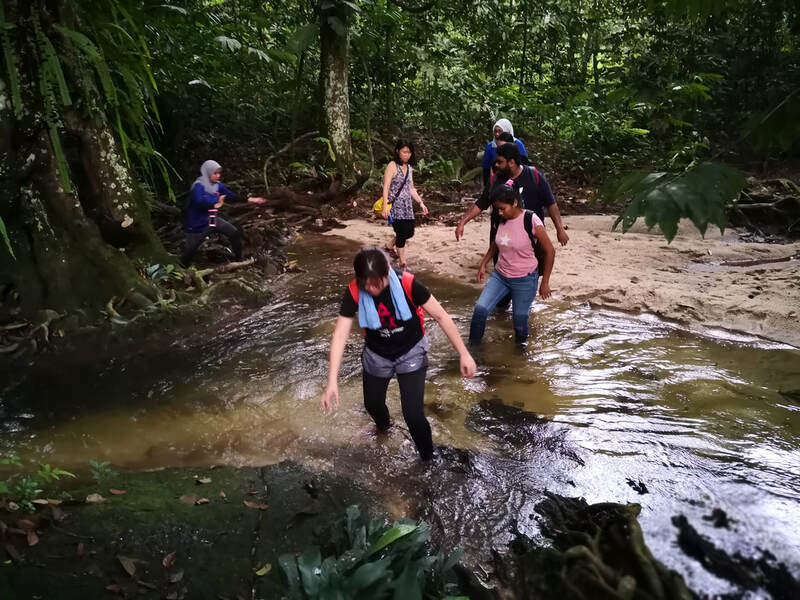 Professional,experienced Multi-languages(English,Mandarin,Malay,Cantonese) speaking guides with Wilderness First Aids certified. as you get wets from start to end, preferable aqua shoe or water shoe that dry faster and with anti-slip on slippery rocks, normal trek shoe is fined too with decent grips. We require advance booking as early as possible to secure the date as our guide will not wait on the crags for booking, please click below "Booking" button to email us your inquiry and we will revert the availability of our guides for final confirmation. Eddie was awesome! Took me to a beautiful crag and made for an amazing day of climbing! Had the fortunate opportunity to climb the Batu Caves with Eddie. Had an absolute blast doing it. He's very personable and knowledgeable about climbing, and his passion for the outdoors is infectious. Great activity for all skill levels and a fantastic way to see the beauty of the Caves firsthand (pun, yeah!?). Highly recommend!! Had such a great time climbing with Eddie in January. He's professional and patient, the gear was in great condition, and he made me and my boyfriend both feel safe while having fun. If you're in KL for a holiday or just stopping by for a day or two - rock climbing at the Batu Caves is a must-do! Great climbing experience! My boyfriend and I usually climb indoor, this was our first climbing try outdoor on the wall. Eddie and his colleague were great. Very helpful, patient and professional. The equipment was in very good condition, so we felt safe all the time. 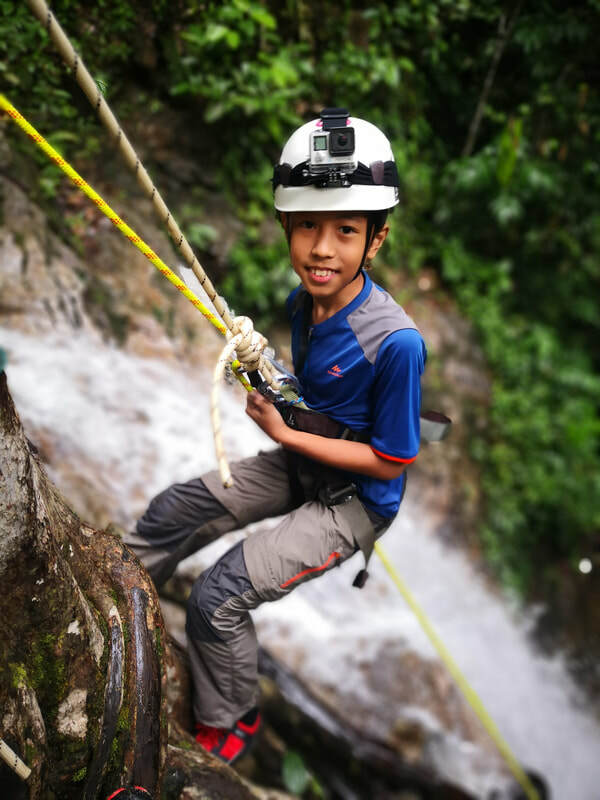 If you stay in KL and like outdoor activities, climbing with Eddie is a great chance to do something special besides the normal sightseeing stuff. We had lots of fun and definitely come back.